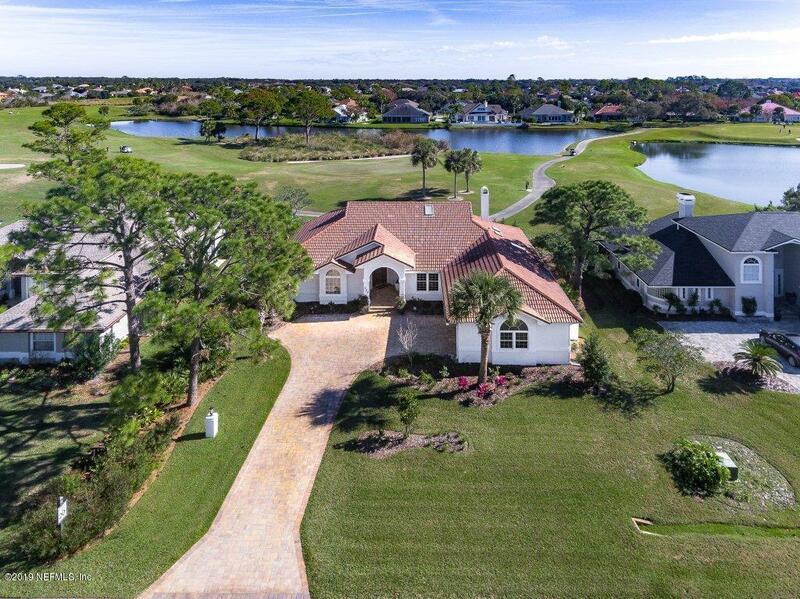 Enjoy the sunrises over the golf course and lake every morning from this fully renovated Marsh Creek home! 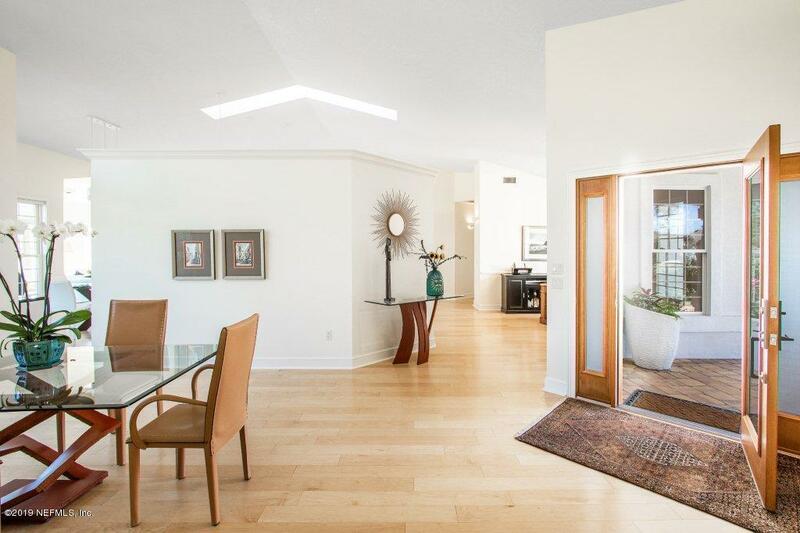 Offering 3bd/2.5ba and a spacious 2,658 square feet of heated and cooled space, this light, bright and airy home is sure to please the most discriminating buyer. 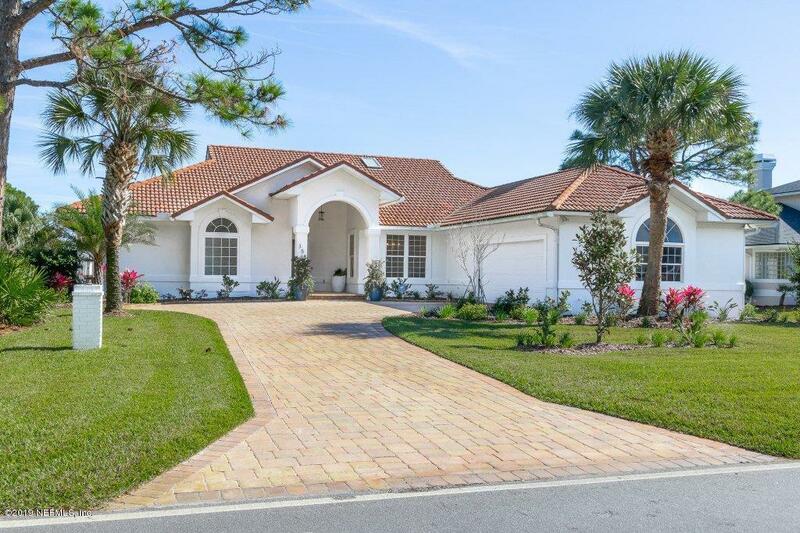 There are new hardwood floors throughout, a beautiful custom front door, a kitchen with high-end stainless-steel appliances, stunning quartz countertops, beautiful backsplash and spacious breakfast bar all looking out to the living room and offering great golf views. The living room has a fireplace with refurbished mantle, beautiful built-in's, recessed lighting and access to the spacious lanai.Additional interior features include a master bedroom with lanai access, a master bathroom that is fully renovated and feels like you stepped into a high-end spa, large dining room with views and all new light fixtures throughout. 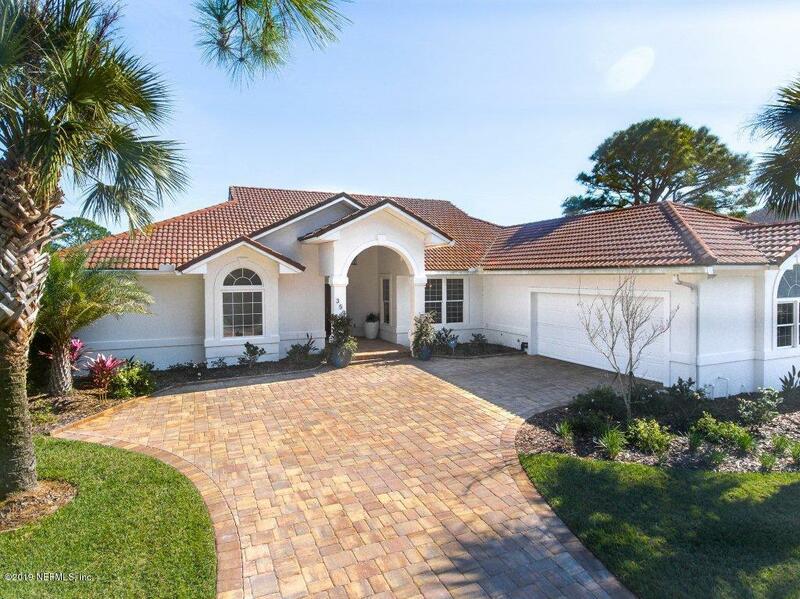 On the exterior you will find a screened lanai overlooking the golf course with lake views, a new paver driveway, tile roof with new gutters, and all beautifully landscaped with landscape lighting. Additional features not to be missed are the freshly painted interior and exterior, the A/C was replaced two years ago, and there is a current termite bond with Curtis Pest Control. Located behind the 24-hour manned gates of Marsh Creek Golf and Country Club where club membership is optional and you are minutes to the beach, shopping and downtown.